Gluten Free Twin Mom: 'Stoked' for Gluten Free Oats Giveaway! Oats are an amazing natural superfood offering fiber, vitamins and minerals. They also aid in lowering cholesterol and helping digestion. It is no mystery why oats have been a popular food throughout the years and are again appearing as a staple in our diets. It was only two years ago when I first tried oats. And no I was not living under a rock! Growing up I was told I could not have oats due to the concern of the oats being cross contaminated in facilities that produce other grains which are not gluten free. Thank goodness there are now companies that are dedicated to producing gluten free oats which allows everyone to enjoy this wonderful nutritious food! REDLINE: Combining the goodness of oats with the addictive ingredients of coffee and organic chocolate chips. Also featuring walnuts, flax, whey and chai seeds for an extra boost of superfoods. BUCKING-EH: Adding a little bit of sweetness with this sugar free oats with the addition of apple, flax, mulberry, chai seeds, whey, currants and cinnamon. STONE AGE: Boasting pumpkin seeds, flax, almonds, walnuts, whey, chai seeds and coconut. Extra bonus this variety is sugar free. APHRODISI-OATS: For chocolate lovers this mix sports flax, whey, almonds, chai seeds and organic chocolate chips. I was lucky enough to sample a few of these varieties and my favorite was Bucking-Eh offering the amazing aroma and taste of cinnamon with a hint of sweetness from the fruity flavours. Stone age was also another favorite as those who know me well know I am a coconut lover and I love the extra energy that the addition of the seeds and nuts offer! Redline was a surprising delicious twist on oatmeal offering two of my favorite addictions- coffee and a hint of chocolate. I found the oatmeal was tasty both with the addition of fruit and yogurt or on its own. On all occasions (and there were many!) of trying the oats, they were very filling and helped me make it all the way to lunch without feeling hungry. Check out Stoked Oats on Facebook and Twitter for lots of insightful information regarding gluten free eating and eating healthy for an active lifestyle. 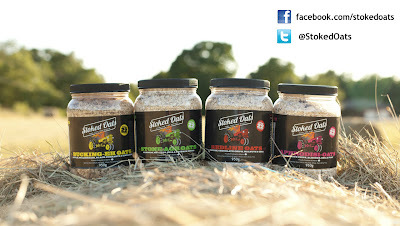 Visit their website if you would like to order your own tub of gluten free oats. GIVEAWAY! !- Stoked Oats would like to make two lucky winners go crazy for their delectable oats! 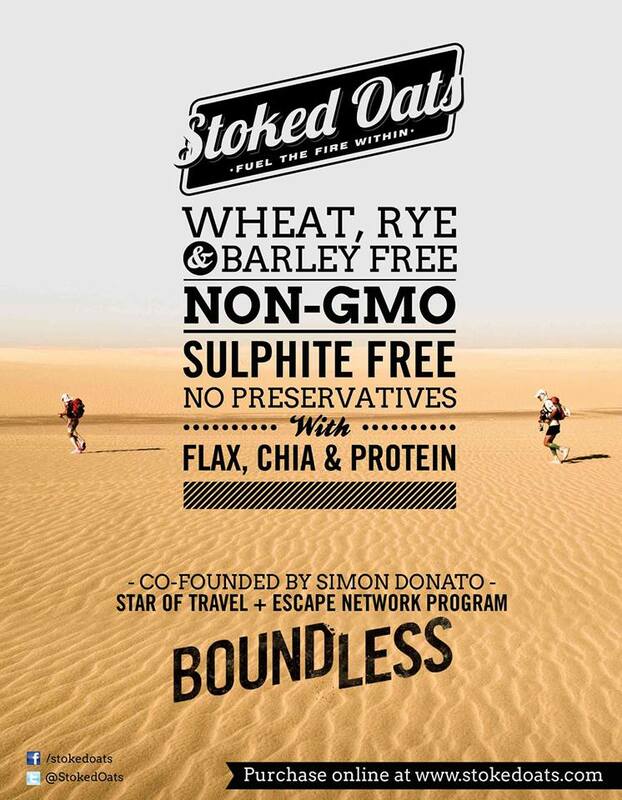 Enter below to win a tub of Stoke Oats in the flavor of your choice and a Stoked Oats Hat! Contest closes August 7, 2013 and open only to Canadian residents. Good Luck! I'm so excited to try Redline! Stone Age Oats for sure! Can't get over the pumpkin and coconut - sounds so good. I've been mixing the Stone Age with a tiny bit of the Aphrodisi just to get a bit of chocolate flavor in. Just bought some Redline today, looking forward to trying it (probably tomorrow!). Would love to try them, they all sound good. Redline sounds good. They all do! Redline is my first choice to try! I would love to try Redline. They all look awesome!! Thanks for the giveaway! Redline sounds the best to me. All sound great. 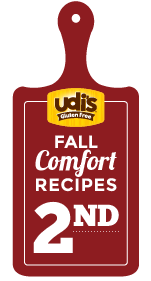 Im a runner always on the lookout for great gluten-free product! Redline looks yummy , coffee and chocolate. Would love to try the Stone Age, it sounds great! Bucking-Eh has been sampled --would love to try Redline and Stone Age as both sound delish! I love Bucking-Eh. But AphrodesiOats sounds delish. All the others have walnuts...which I cannot eat due to allergies. Love this company!!! i'd love to try the REDLINE. It sounds delicious! Redline looks great. By the way, when are you having another giveaway? Thanks for your reply! No new contests planned for now but stayed tuned.